For wedding gifts for guests here are things you should consider before you start. It helps to write it down so get a pen & paper. The questions you should ask yourself; What is the theme of your wedding?, What types of gifts to give your guests? & When should you give your gifts to guests? The last question could be a surprising one if you are trying to create unique wedding gifts yourself. 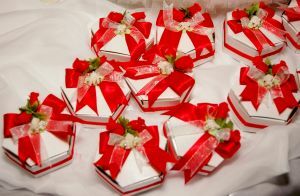 With your wedding planner you may consider to have the wedding favors for quests to be a special part of the ceremony. Or a practical gift to hand out to your guests at a certain time when needed. If you are going off theme with your wedding gifts for guests, its rare but it has been done, how do you have something good for your guest to take home! Maybe something practical? Or a keepsake that has to do with the brides grandmothers favorite thing on her wedding day is one example? Of course don't forget about the monogram & wedding date on your wedding gifts for guests. Or maybe no monogram. Cases where you would not use a monogram could be a commercialized sponsored gift or if promoting a luxury item like designer sunglasses. What I was thinking of was embossing the monogram on the gift box. Instead using cards embossed with the wedded couples monogram would cut down the cost a lot. Increasingly you can use companies to sponsor part of your expenses for your wedding if you promise to give out their stuff; e.g. Starbucks brand products on a Starbucks mug (of course you could, or not, have a monogram & date of wedding) like "Via" instant coffee for tired guests. Hay! Now its getting fun, think of it..., companies help out with expenses & giving good stuff for your wedding gifts for guests could work out very well if you have hundreds of guests! O.k. here are some ideas to think about wedding gifts for guests. Remember when picking out your gifts for guests consider the questions above. We shall now go into detail examples of answers to each of the highlighted questions to create ideas for you wedding gifts for guests. Think About the Theme of the Wedding. We are putting a unique gifts twist though; after all one can give predictable wedding gifts for guests that is on theme. But how about the gifts for guests staying within your theme with "a unique twist." Its all about complements. Considering if you want your quests gifts to stand out. Think of it like complementing colors. If you are having a Victorian rose traditional theme wedding you can have your quests gifts have a modern undertone of Victorian. Think of the soft colors & roses of the Victorian with (which can complement with a modern tone?) Origami with Victorian? I speak of the packaging outside being in origami using a Victorian print . Inside some small luxurious gifts: a silver or gold digital camera key chain, a time piece & a small scroll of the nuptials in silver or gold lettering. Choose whatever complements, keepsakes the guest can take home to remember your wedding day. If you are going to go out of theme either because you want to be out of the box or go less expensive how about neutral gifts like a silver or gold box with the couples monogram on the outside, wedding poems & charms picked by the bride & groom inside. Other neutral gifts no matter what the theme: small silver polished flute that when blown has a beautiful sound, key chains, candles, candle holders, pens, a small glass figure eight shaped vase wrapped in a silver bow with couples name & date with the brides favorite flowers, real or silk flowers. Remember the type of wedding gifts for guests obviously depend on what type of crowed your guests will be, or to be more specific what type of personalities the brides side of the family & the grooms side of the family. To get even more detained than that some weddings have their separate, unique groomsmen gifts & bridesmaid gifts. Nevertheless this is your special wedding day. Its important to make your wedding gifts for guests be for the comfort of your guests or the memory of your wedding day be special to theme. Consider what type of Wedding Gifts to Give your Guest. Traditional type gifts to give would be a keepsake with the couples name & date wrapped in something nice. That's that. To make the traditional unique you can put the name of each of your guests on the gifts instead. And finally traditionally the bride & groom would pick out the guest gifts. The expensive alternative is let guest pick the one small gift they like? Get some suggestions from your guest by calling to see what they would like. You or the planner can come to a consensus to pick the one gift everybody could like. Non traditional on the other hand considers the need of the guests of course, more liberty to be unique here. Also this ties to when your guests will receive their gifts too (more next paragraph). When the guests need to recover from the night of partying a black & white bag with stuff like: Instant coffee packs like Via Starbucks instant coffee, aspirin, antacids, or hangover remedy, slippers for worn out feet, cold packs, a ceramic coffee cup (a patron can give out hot coffee & tea) & a late night/early morning treat to the guests. When to Give the Wedding Gifts for Guest? This is if you want your gift giving to be in harmony in your wedding ceremony. 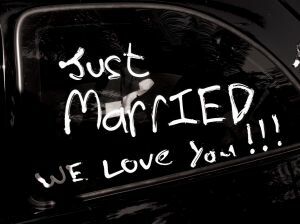 Its to enhance the experience of your wedding day. Ultimately its to give you the planner choices how you think your guests should receive your gifts on the wedding day. Here are some suggestions on when to give out your wedding gifts. Maybe it a type of wedding gift for guests where you have a box with a card inside to write well wishes in. Then to put money for the bride & groom to drop off after the wedding. At the bottom of the box the guests keep a special 14 karat gold gift. The box will also be a keepsake too embossed with the couples name & wedding date. In some weddings patrons donate a little something for the wedded couple & their new life. Again the focus is on the wedded two so maybe for fun patrons will give out these silver reeds with a beautiful picture card with wedding poems written on a ribbon. And when the officiator of the wedding says something like "Who dost object this couple shouldn't be married?" Then the people will wave their silver reeds out in joy as he announces them man & wife. As an alternative can also give out souvenir silver bells with monogram & date to ring when the wedded couple kiss. If you wont to be festive & fun if your wedding theme has a silly theme you can give out as wedding favors silly string, white of course, (or sparkly silly string) for guest to spray at the bride & groom when they come out. The cans will be nicely decorated as a souvenir with (or without the couples wedding monogram & date. If your wedding theme is like a new years celebration theme for your wedding day its easy to have white party favor's, hats, noise makers, confetti poppers & champagne glasses. White or sparkling like stardust with bride & grooms monogram and date. Used or unused the wedding poppers can be souvenirs for the guest to take home. If your like more sophisticated wedding gifts for guests after the wedding you can give out decorative parasol (umbrellas). Great for your guest if this an out door wedding or if this is an outdoor wedding reception (nice for the women). Or very nice designer like glasses (for the men). If at night a bright LED keychain flash light spacial for the wedding day. Everybody loves a food gift. A gift pack of mints (brand use opportunity: Altoids maybe?) of course with the name & wedding date. Their is more to mention on types theme or out of theme of wedding gifts for guests. But I would have to write a longer page. Beside, we have much to mention on how to add more unique wedding gift ideas coordinating with your wedding to be the best it could be. Party reception are also an option to consider giving out wedding gifts for guests. Anything you want. At this point you have the idea. And I've given you some suggestions. However thus far I have been mentioning gifts to give to everyone. To please every demographic of your guest list, if within your budget, how about separate gifts for men, separate gifts for women & separate gifts for children. The gifts for the men can be picked by the groom if you want a mans point of view & the women & kids for the bride & input from the planner is any. How about a fashion forward wallet, A belt & belt buckle gift set. Also include in the set, a decorative tie clip, handkerchief, the wallet, all into a way stylish hat wrapped in a bow. Consider the demographic of your male guests whether they are old or young for example to buy the appropriate gifts. Also consider the demographic of your guests. Are the women say mostly of a younger generation? An older generation? Teens & young adults? Or a home gold nail film set inside of a beautifully decorated card with a delicate small gold necklace. It could be in a nice gift box. Something personal maybe pricey. 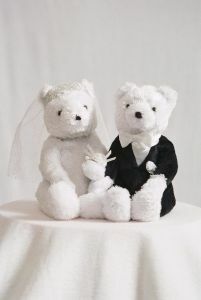 Have wedding gifts for guests appropriate for age if needed be. 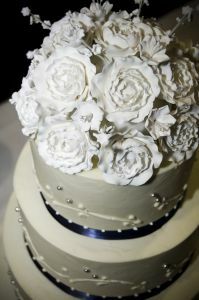 For the younger ones something fun they can pick out from a table near the bride or the wedding cake if you want to. Kids love to participate in something. How about a ceremony where its centered on the bride. Written messages by the children (with help of parents) on silver ribbons with bells at the end of them to take to the bride to exchange for their gift! For older children like teens boys & girls where appropriate can have what the adult are having. Or as an alternative wedding party favors that are more mature like a mini digital camera keychain, mini mp3's (if budget permitted) with ear phones, or something low tech like kaleidoscope key rings or novelty sun jars. Their is also considering the needs of your guests. So what if you want to give out wedding gifts for guests when they leave at night, Late at night, or early morning before sunrise. There are interesting ideas to create great gifts for guest at these times. So What to Give After the Reception? Some ideas can include a guest gift bag or box of stuff like mentioned before: slippers, aspirin, instant coffee with mug, peppermint foot & hand cream a cold/hot eye pack. Other gifts for the interests of the guests could mean getting a brand name sponsor involved. Like breakfast for the guests after the wedding. If you can afford it it could be a voucher for a free breakfast: you could apply restrictions like a $5.00 minimum purchase on the coupon or other cost amount for the breakfast. If its hundreds of people after a night of parting get early morning sunrise breakfast that would be great for the businesses involve. Great if your guests have hotel accommodation's to have a discounted breakfast could be a win win situation for both the planners of the wedding & businesses who need revenue. If unique wedding favors are to take home what you could give out would be a pack of chocolate mints with the couples names & date after the sumptuous meal. If humor is what you have in mind can also give out "Tums antacids" with a funny message like "Hunka Hunka Burning Love With Your Heart Burn. 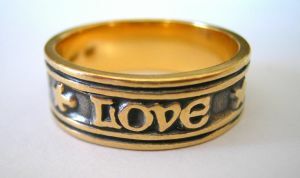 Love - the bride & groom",include or exclude monogram & date. If these antacid wedding favors can't be pre ordered don't fret. To create these humorous wedding favors its easy to assemble. Have customized wrappers that are small enough to fit two tablets & seal the package close. Buy bulk Tums tablets in any flavor you like. If you don't want all the issues of arranging a breakfast for guests food is fun to give out at for wedding gifts for guests. Chocolate are a main stay include the chocolates in a pretty box. Small jar of colored jelly beans in the wedding theme colors in a pattern. Roasted nuts(if no one is allergic) can be a sophisticated gift to give; something at a formal affair? Maybe a luxury food like a small cheese, crackers & fruit gift. Maybe with a bottle of sparkling cider or non/alcoholic wine to go with the small snack set. The point is for you or the wedding planner to create unique wedding gifts for guests that are simple, certainly everyone can enjoy & cost effective too. You know your guests better than anyone else. Even if they are prefabricated gifts from a company, not home made one's, you'll know that they are the right gifts for your wedding & according to the type of people who are your wedding guests. But its a good start. Considering the theme of your wedding; type of wedding gifts for guests; Where to incorporate; when to give out. You wedding guest list is the base of which you will successfully find the best wedding gifts for guests at your wedding. Even make your wedding an event to remember for years to come. Whether its important to you that your wedding should make guests comfortable, or for your guest to participate to make it all about your wedding day you should remember this. One can also have wedding gifts for guests with the themes about the Season: Winter, Spring, Summer or Fall (whenever time of the year your wedding is); Holidays throughout the year and during special events too.